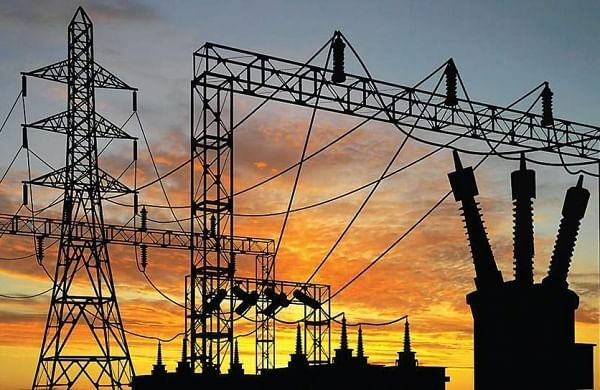 The Andhra Pradesh government is working on installing 400 KV line to link both East and West Godavari Districts from Vemagiri in East Godavari to Kamavarapukota in West Godavari. The work has already began for the 93 km stretch line at an estimated cost of Rs.200 crores, said Vijaymohan, Divisional Engineer - Constructions, Rajamahendravaram circle, Electricity Department. He said that this new line is coming up from Vemagiri Sub-station in Kadiyam mandsal in East Godavari to Kamavarapu kota near Dwaraka Tirumala in West Godavari. The efficiency of power supply for few areas in West Godavari will get increased with this new 400 KV line. He further added that it is not possible to lay the power lines through the villages which is why it was decided to put the lines in the fields. The laying of lines is going on briskly from Vemagiri, Punyashetram, Muramanda, Dulla, Choppella, Baduguvani lanka and Atreyapuram. It is learnt that out of 93 kms stretch line, 35 klms is being taken up by Rajamahendravaram Constructions Division and 58 kms be taken up by Vijayawada Constructions Division. Around 102 towers have to be erected in Rajamahendravaram division and till now pillars for 30 towers is completed. He indicated that the erection of pillars may be delayed further due to ongoing monsoon. There will not be any delay in paying the compensation to the farmers whose land is acquired for laying of electrical lines, he concluded.